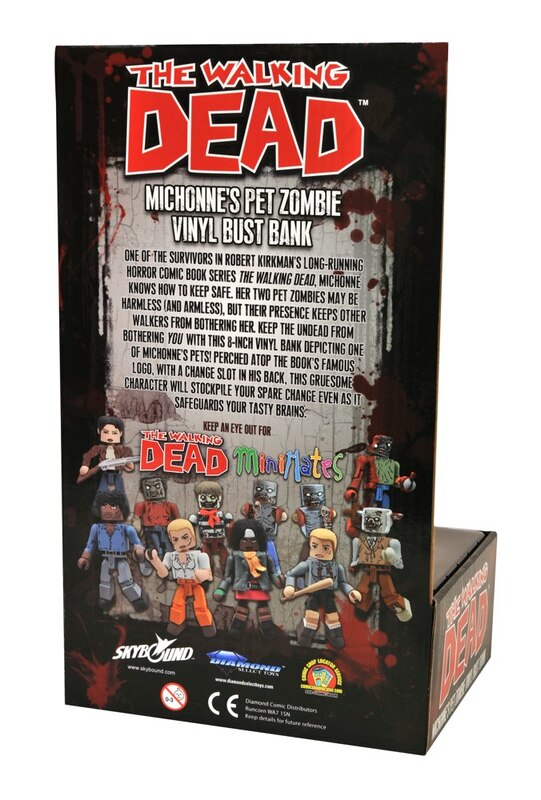 The Walking Dead Pet Zombie Bank Has Been Captured! 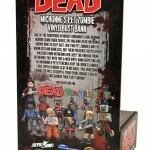 It’s a zombie, in the box! 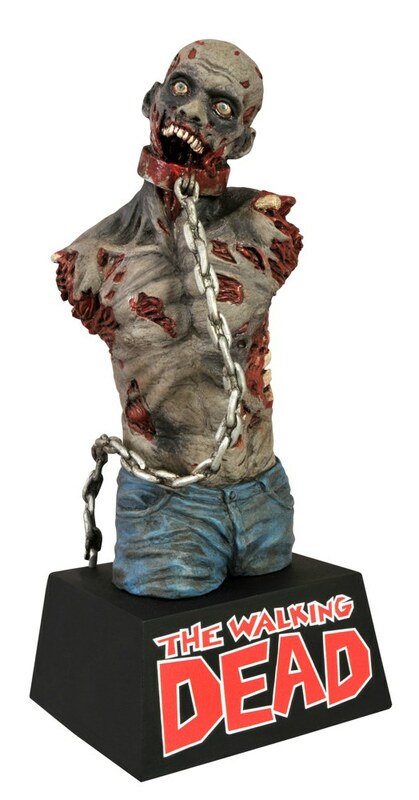 Shown here in packaging for the first time, the Pet Zombie from Diamond Select Toys’ line of Walking Dead vinyl bust banks is even more gruesome than their first zombie, and makes for a lovely display piece whether or not you choose to keep your loose change in it. 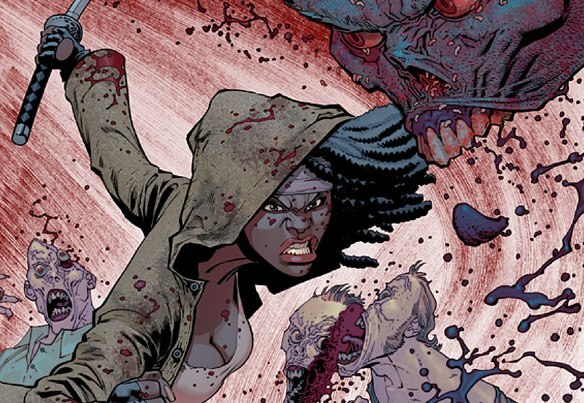 Sculpted by Eli Livingston, Michonne’s pet zombie Mike (or is it Terry?) 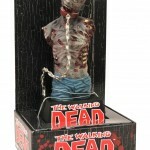 has a collar and chain, but no arms or jaw, and is posed atop a black base with the Walking Dead logo. 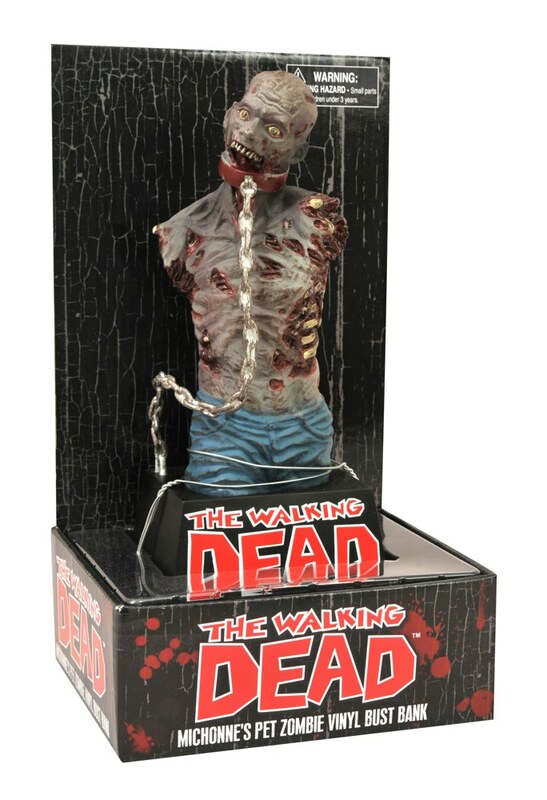 Place coins through a slot in the back, and remove them through a door in the base… or just leave him in his cool display tray (available at Toys “R” Us), although this is one zombie we highly recommend you set free! 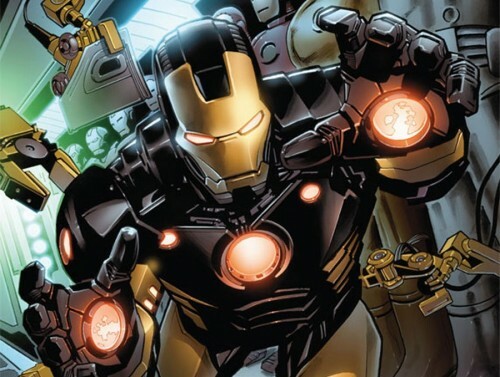 Pick him up at TRU – or look for him roaming free in comic shops and specialty stores – this summer!